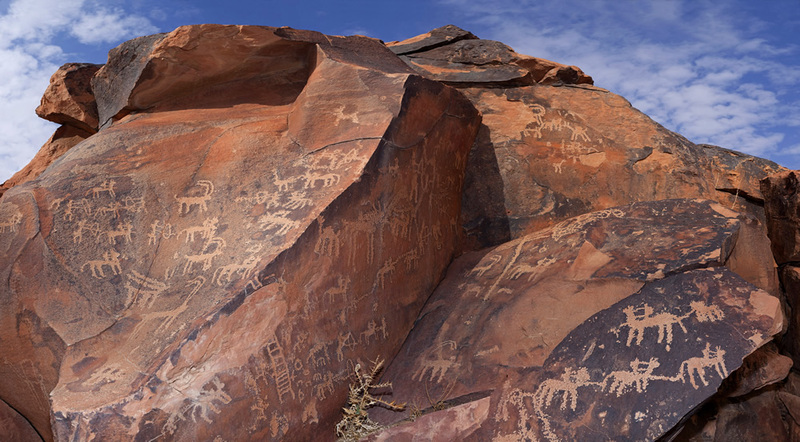 The province of Ha’il is incredibly rich in rock art, with major and minor sites sprinkled over much of its territory. Around the modern city of Ha’il, countless individual rock outcrops containing only one or two panels of art can be found. 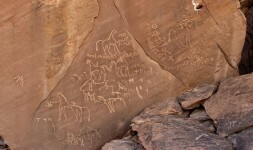 The predominant subjects of these are horses and camels. 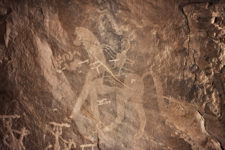 The areas around Shamli, 170 km south of the city of Ha’il, and Yatib, about 35 km east of the city, have revealed some fine examples of horses that appear to be the Arabian breed. 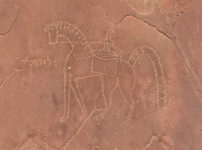 Dhabiya 2, located near the town of Shamli, in Ha'il Province, has several panels with Arabian horses and riders that are very well executed. 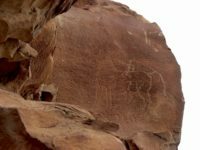 Hisan Arnan, in Ha'il Province, is a large sandstone block with one face heavily packed with figures and writing.